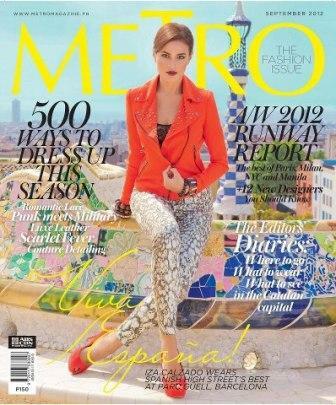 Iza Calzado is in the cover of Metro Magazine for this month of September 2012. The cover is so bright which uses the different light colors. What can you say about this month's cover of Mega Magazine?